As I mentioned back in the autumn, I don't plan to do any full "collection" launches as such this year, rather I'll be introducing new work in batches - so far this is working well for me and I'm finding that my inspiration has returned (and there's also a lot less pressure when my whole year no longer rests on two set ranges of work!). The second design is called Anemone and is a 1950's style pattern featuring some of the floral drawings I created for the Make It In Design Winter School. To show my new fabrics off, and to give you a little idea of something you could make with them, I've made a quilted cushion. This is the first time I've made a cushion like this and I'm really pleased with how it's turned out. I used my new designs combined with Kona Solids in Parrot (green), Stratosphere (blue) and Mac and Cheese (yellow). I bought these fabrics from Simply Solids. 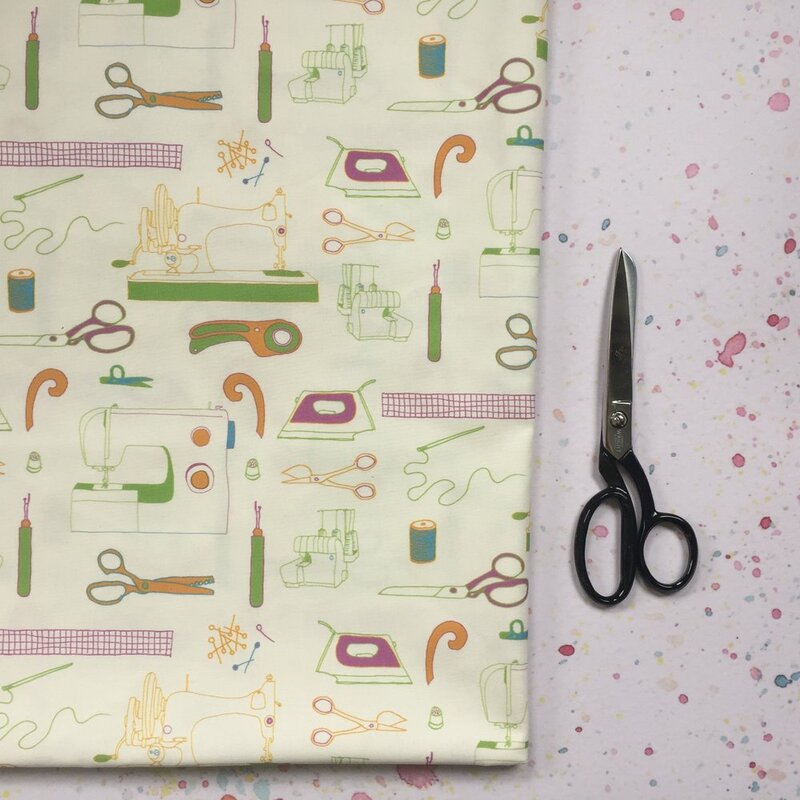 My new fabrics are now available to buy by the metre and fat quarter in my Etsy shop. I'm planning some more makes soon - do let me know if there's anything in particular you fancy seeing in these fabrics!